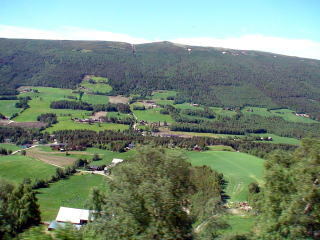 the mighty Dovrefjell mountain range. 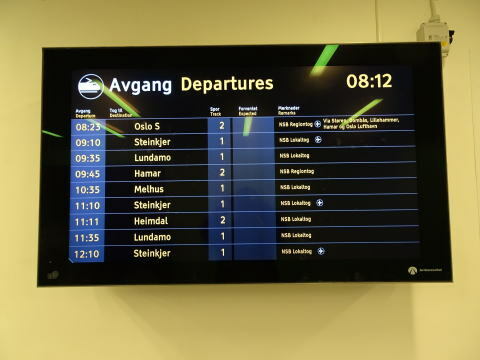 The whole trip takes about seven hours. 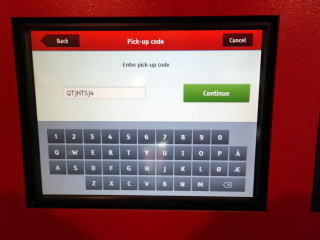 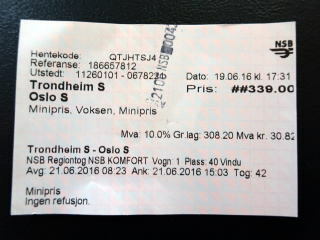 (R) If you already purchased the train ticket, then insert the pick-up code number, after that, a printed ticket will be issued. 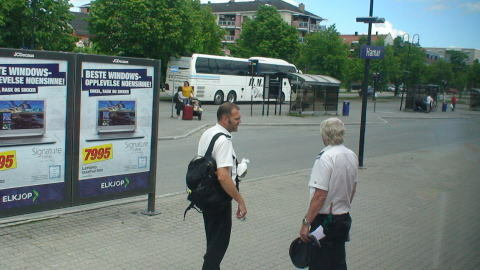 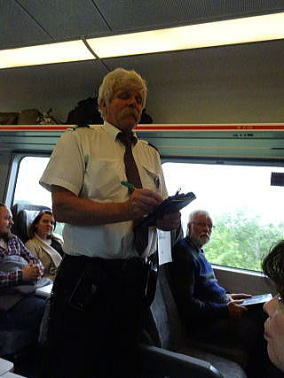 (L) A conductor is checking the passenger's ticket. 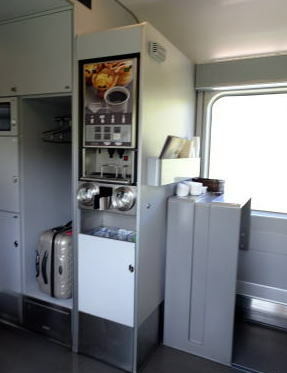 (L)The first-class passenger car provides a coffee machine. 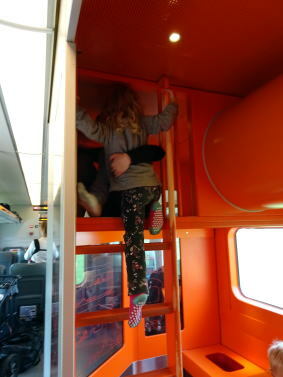 We can also get a hot tea. 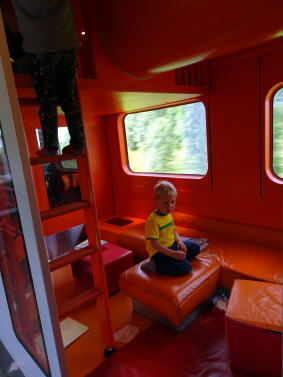 (R) A play room is provided on the train. 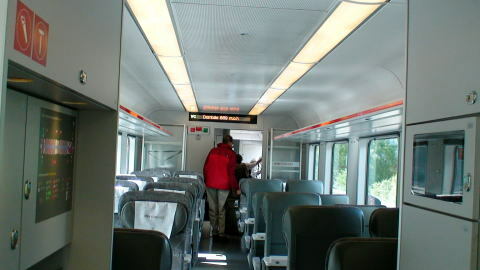 (L) The first-class vehicle has an automatic coffee-maker. 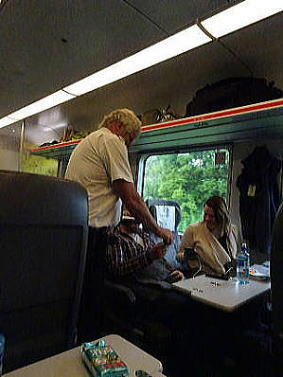 A hot tea is also available. 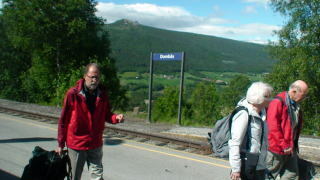 (R) Tour passengers from Trondheim got off at Dombas. 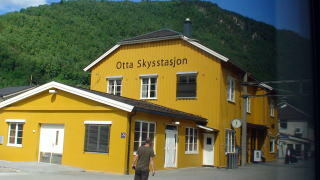 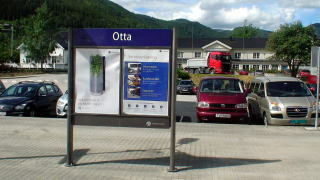 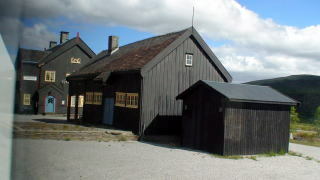 (L) Otta Station (R) Hamar is the junction station of two railway lines, Dovre Line and Roros Line. 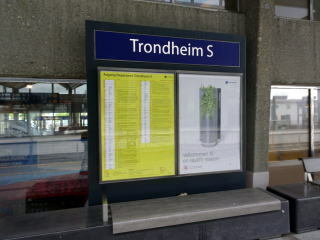 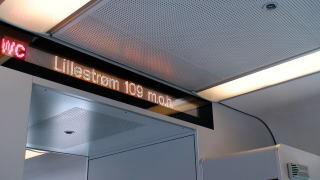 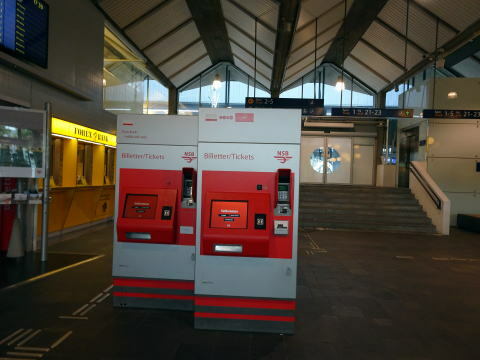 (R) An electric display of Lillestrom Station, where all express trains stop, suggests that it is near the Oslo terminal. 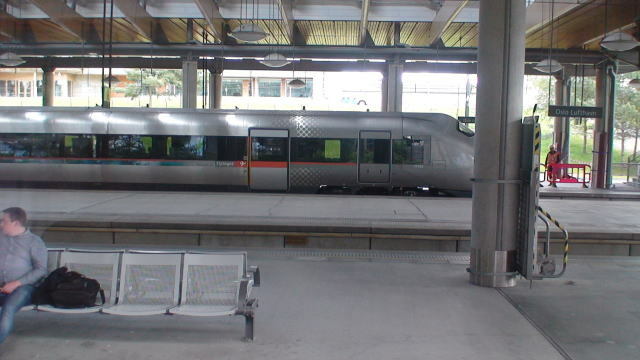 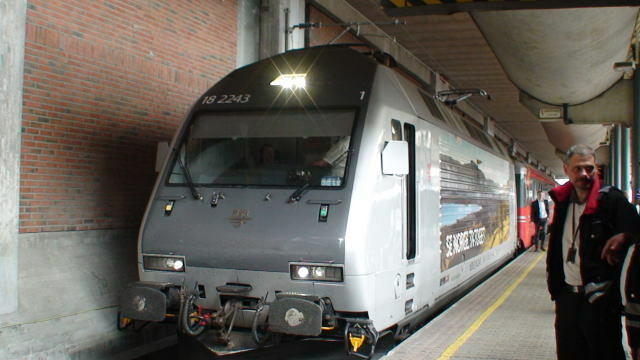 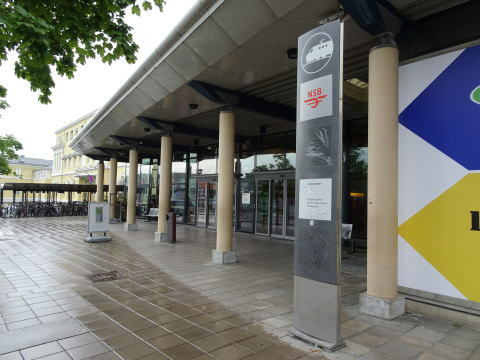 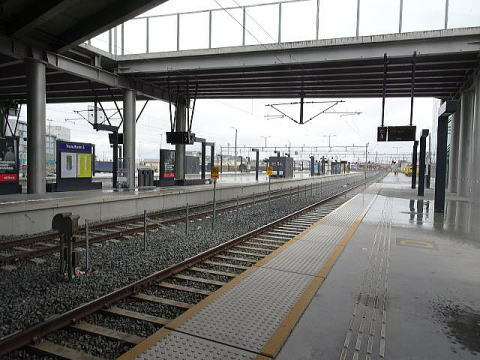 A long-distance express train arrived at Oslo Central Station: The distance between Trondheim and Oslo is 553 km.